I had no idea there were wild donkeys here. 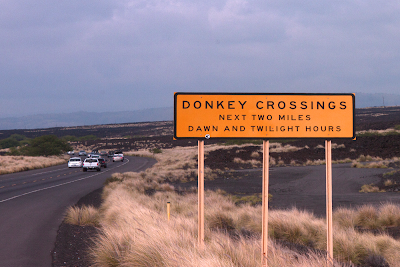 The first time I had ever seen a donkey crossing. We never did see the donkey though.